Vintage Old Colour Postcard. 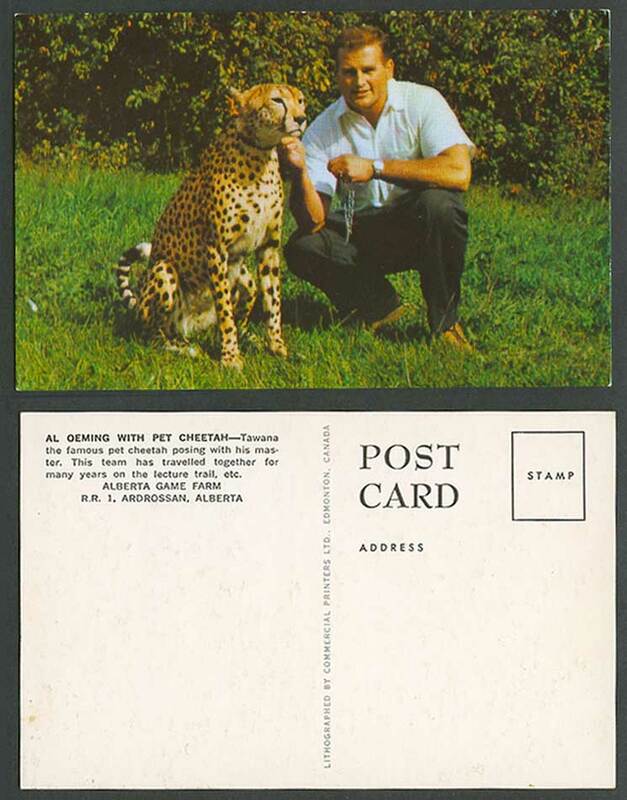 Al Oeming with Pet Cheetah, Tawana, the famous pet cheetah posing with his master. This team has travelled together for many years on the lecture trail, etc. Animal, Alberta Game Farm, R.R. 1. Ardrossan, Albert, Canada.